We continue to meet the characters of Center Stage. Today I introduce you to Max. Family: Father is the Chicago fire chief. Weaknesses: Has difficulty maintaining relationships. Struggles to express his emotions. Character traits: Caring individual with a protective nature. Goes out of his way to help those in need. Stands up for his beliefs. Humble. Dedicated to his job. Loyal friend. Pie junkie. For other character bios, see links below. With the upcoming release of book 4 in my series, Center Stage, I would like to introduce you to two characters you will meet in this book. The first is Roger Zellers. Hometown: Owego, NY. Currently lives in New York City. Family: Father’s name is Gary. Mother is Sharon. Older brother, Peter Zellers. Education: Took piano lessons as a child, starting at age five. Many years of dance training, voice lessons, and acting classes. Proficient in Standard British, Cockney, Irish, Australian, Brooklyn, and American Southern dialect. Dance styles include ballet, jazz, latin, contemporary, modern, swing, and various ballroom dances. Expert tap dancer. Has had formal stage combat training. Occupation: Professional theatrical performer. Broadway credits include Newsies, Cats, Radio City Music Hall Tap Extravaganza, Sophisticated Ladies, Memphis, A Broadway Christmas Carol, Les Miserables, Chicago. Favorite things: performing on stage, tap dancing, poetry, classic literature, film noir movies, a good glass of wine, Mexican cuisine, Phantom of the Opera, classic theatre, modern art, sports cars, and fishing. Dedicated NY Knicks, Yankees, and Syracuse fan. Weaknesses: Forgetful – regularly loses cellphone and keys. Insecure in relationships. Pet Peeves: Selfishness, intolerance, and cruelty. Character traits: Generous with time and money and regularly donates to charitable organizations. Active in Broadway Cares fundraising efforts. Donates toys, food, jackets, gloves, and blankets to homeless shelters, children’s homes, and children’s hospitals. Genuinely cares about people. Outgoing personality, happy disposition, playful, enjoys life. Randomly dances or sings in public. Well-articulated, poised, confident, charismatic. Supports fellow performers and is knowledgeable about the business end of Broadway. Adopted a Scottish Terrier named Oliver. Stumbled upon this and thought some of you might find it helpful. I’ve included a few more on the bottom of this page. 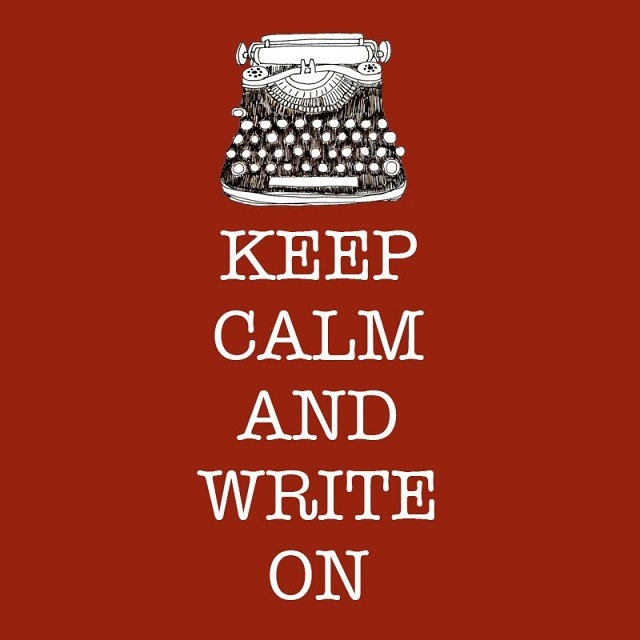 Happy writing. For blogging tips, check out How to Write a Good Blog Post. It includes tips and links to other sites that give advice on getting readers to actually read your blog posts. Rayne Hall’s Tips For Writers– Here you’ll find professional techniques to help you refine your writing project. Bryn Donovan has a ton of helpful writing tips ranging from writing playlists to master lists of facial expressions and physical descriptions. She also has an entire segment on creating characters for a specific Zodiac sign. Her resources are invaluable. If you need more help with character development, Ink and Quills has an entire page of information and resources. Other writing information is on there too. Just browse around and you’ll be sure to find something helpful. Developing a writer’s platform is essential for any writer. Your Writer Platform gives tips on how to effectively do that. If you know of other great writing resources, please comment below. I’ll check them out and add them to the list. A decent, honest review of Scrubs. Randy Hanson is a second-year medical student immersed in his life of classes, study groups, and one-night stands. But that part of his life ends abruptly when he meets Jane, a gorgeous young psychology student. Soon, he has to find a way to balance the increasing demands of his medical training with his burgeoning relationship with Jane. For all that Scrubs is about medical school, there isn’t a great deal of medicine in it. Instead, the focus is more on the toll that the time and effort involved can take on the people and their relationships. Obviously, the main one is the relationship between Randy and Jane, which is followed from first meeting to marriage, although others are given some attention as well. The progression of Randy & Jane is generally believable, with one or two hiccups along the way, although perhaps it is a little too smooth sailing. Check out my interview with michaelprelee.com. Please note: This interview states that my 4th book will be released March 1st. Due to unforeseen circumstances, that timetable has been adjusted. The scheduled release date is now April 1st. L.M. Nelson is certified teacher and CPR/First Aid instructor. She enjoys poetry, music, photography, gardening, and nature walks. Aside from her Scrubs series, she has written several poems, some of which have been selected for literary magazines and published in poetry collections. L.M. Nelson grew up in California and the Pacific Northwest, but currently resides in South Central Texas with her husband and two children. 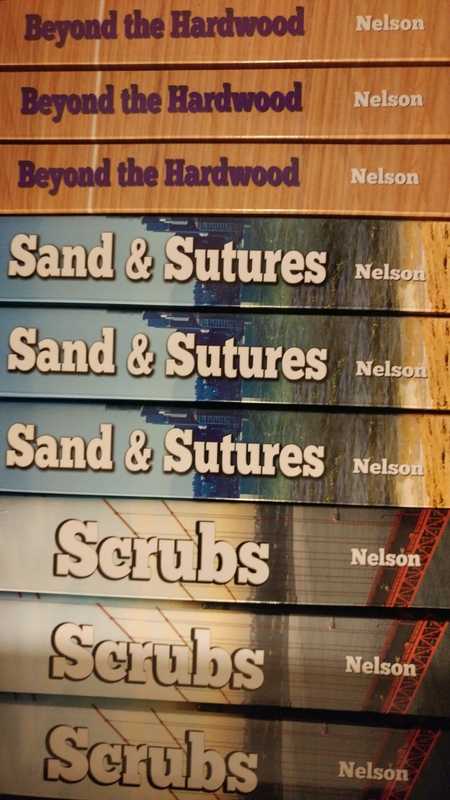 You’ve written three installments in your Scrubs series of novels. Can you tell us about the books and the series? 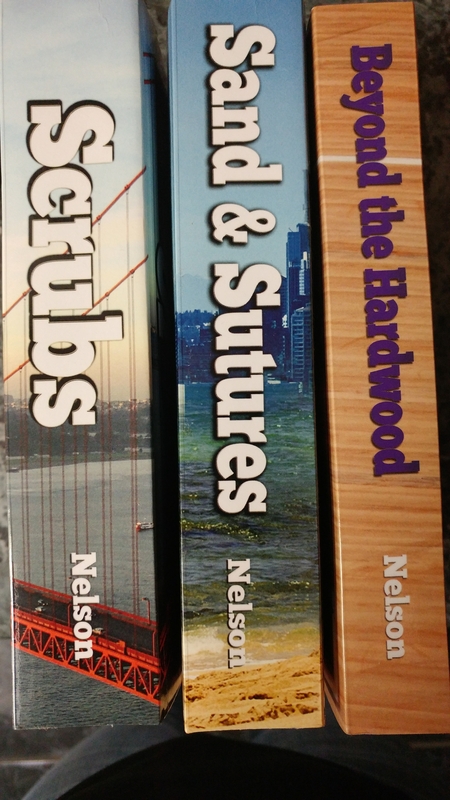 Ever thought about writing a book? Here’s some helpful information to get you started. 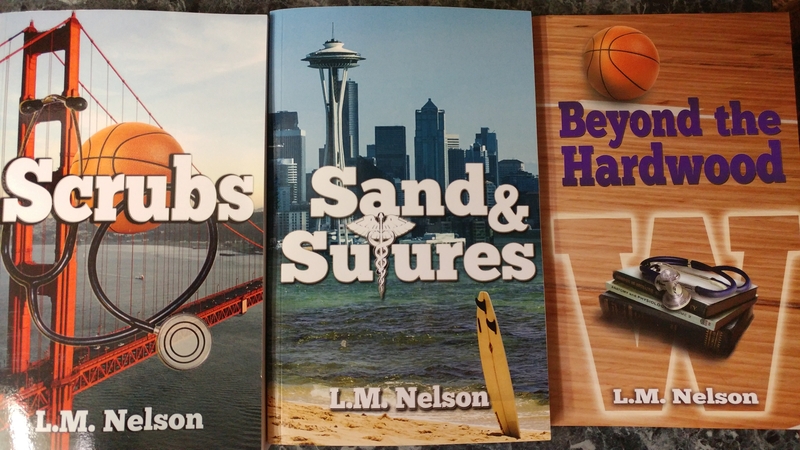 Recieved a shipment of the first 3 books in my series today. They look good together. My new designer is a godsend.